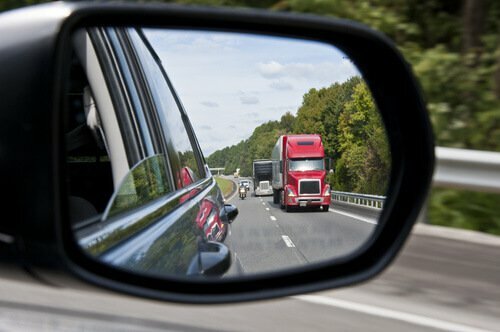 Automobile collisions with semi-trucks and trailers generate significantly more injuries that are seen in a similar car to car crashes – because of the notably greater mass of the semi-truck/trailer. The collision may not have caused significant visible damage to the car, but there is often damage under the surface: a bent frame or bent or broken bumper supports. Forces that are not absorbed by the vehicle are transferred to the vehicle occupant – who is instantly propelled by the force of the collision until stopped by the seatbelt or interior of the car. This instant acceleration/deceleration of the body can, and usually does, cause injury – because the crash forces cause parts of the body, usually the spine, and especially the cervical spine (neck), to move in abnormal ways and beyond the usual ranges of movement. If you or someone you love was injured or killed in an accident like this, you need the top trucking accident attorney in Fort Collins to help you get the compensation you deserve. Trucking companies bring in insurance investigators, adjusters, and even attorneys immediately upon the happening of a car/semi-truck crash in order to more favorably set the stage for the defense of potential claims against them. On the other hand, the person injured in the crash rarely has anyone on their side looking out for them. Semi-trucks have a “black box” that records the truck’s speed, braking, and other factors, so it’s important that the black box information is preserved before it can be recorded over or the vehicle is sold. Often times, an attorney will not be brought in for the injured person until after much of this evidence has been altered or lost. It is essential that the black box evidence is preserved by a qualified expert and photographs taken of the damage to all involved vehicles. Acquiring the best Fort Collins trucking accident attorney as soon as possible is imperative to ensure all of your damages are recovered swiftly. Federal Motor Carrier Safety Regulations (FMCSR) apply in addition to the laws of the state of Colorado in trucking accident cases. The FMCSR regulates maximum loads and maximum driving hours, among other things. Early evidence gathering and investigation based upon FMCSR violations are usually productive. Many lawyers are well-versed in car crash cases, yet a select few have handled car-truck crash cases, so it’s important to find an experienced Fort Collins trucking accident lawyer who understands the laws and regulations applied in such situations. Attorney Mac Hester has extensive experience in representing clients with neck, back, and spinal injuries from motorcycle accidents. He has substantial knowledge of the biomechanics of injury. We can put that knowledge and experience to work for you. Give us a call for a free consultation. If due to your injuries, you can’t make it to our location, we will come to you.